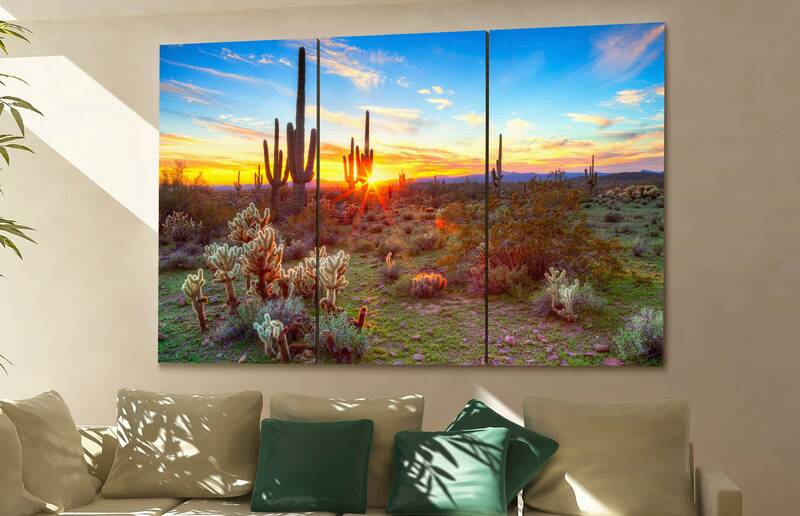 Sonoran Dessert wall art printed on canvas. 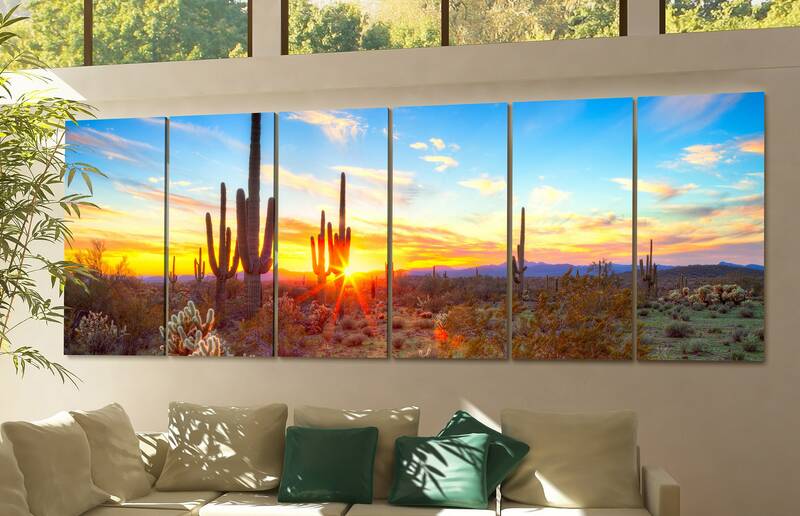 Sonoran Dessert printed on cotton canvas. After printing the canvas the cotton will be carefully wrapped and stretched on a pine wooden frame. Also known as canvas gallery wrap. This is a finished product. Meaning: ready to hang. I picked this wall art for my office. 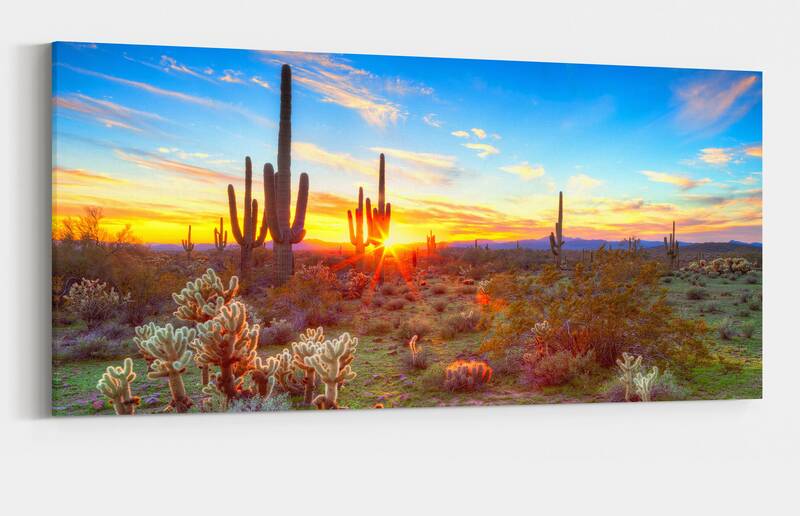 Because I live in Arizona, a picture of Sonoran Desert is quite appropriate. I have had it up for a couple of weeks and have received multiple praises. It really brightens up the room! Nice piece of wall art for the pool room. Arrived in a very timely fashion. 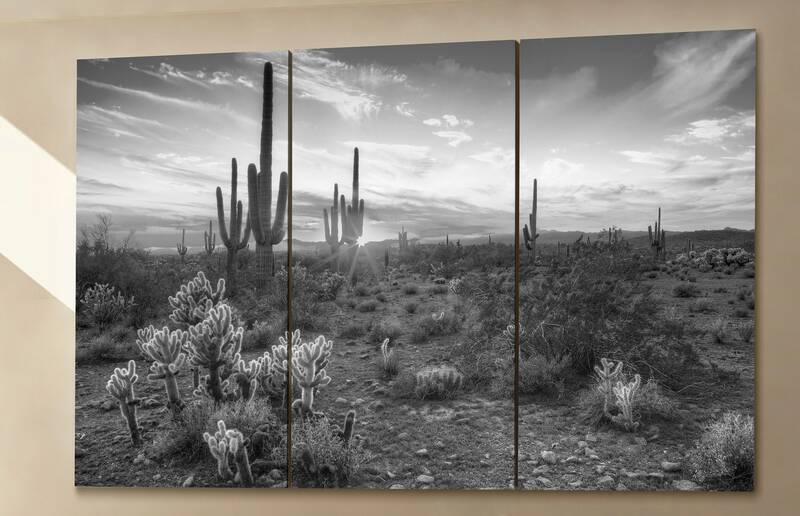 I love my desert canvas! The print quality is excellent especially for the price! 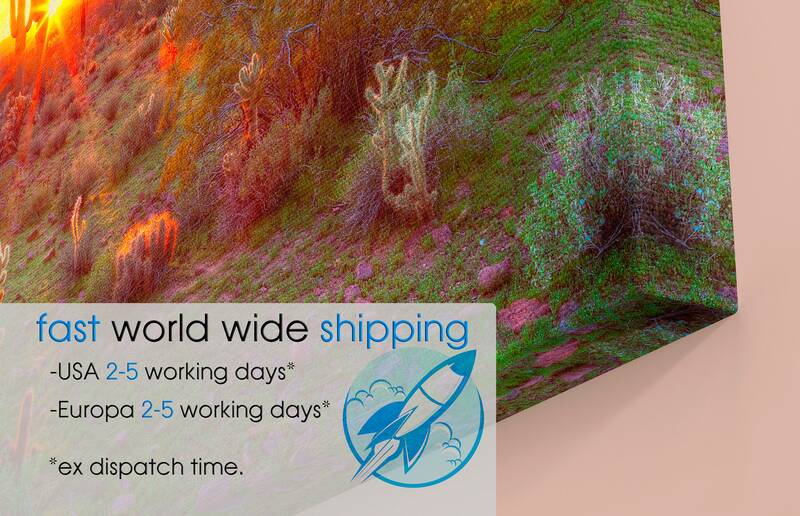 Shipping is prompt and the shop owner is very friendly and helpful. Excellent customer service! I definitely recommend this shop to anyone searching for quality wall art and quality service. Excellent in every way, shape or form. Canvas has the perfect balance between a painting and photography making people doubt if its either printed or painted until close inspection. Adds great depth to any wall and you never get tired of looking at it. Worth every penny. Thanks!